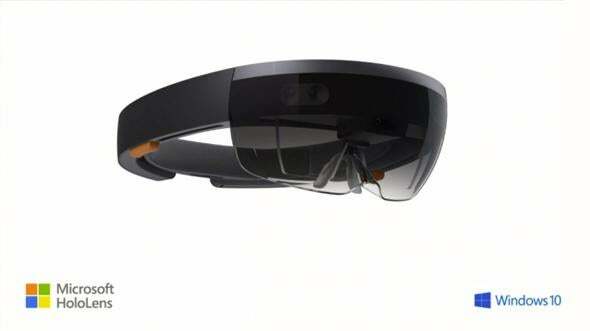 Microsoft announces HoloLens, glasses that show responsive, real-time holograms. On Wednesday, Microsoft (Microsoft!) announced a product that we’ve all wanted since the 1980s, or even as far back as the 1940s. The company is calling it the HoloLens, and it’s basically a pair of holographic glasses that provides the user with real-time, interactive-augmented reality. You put them on, and the real world becomes just one component of a digital landscape. HoloLens is totally wireless and untethered. It has a CPU, GPU, and “Holographic Processor” built-in, and it doesn’t need to sync to a smartphone or desktop. You control it using gestures or your voice, and it also follows your eye movements. It doesn’t incorporate a heads-up display like Google Glass has. Instead it creates holographic screens and objects that look like they’re in the envrionment around you. Microsoft also says that the headset provides surround sound. Microsoft says that it will release HoloLens around the same time as Windows 10 later this year, so the device seems to be more than a prototype pipe dream. It’s also exciting to think that some of Microsoft’s progress with holograms could potentially aid efforts to use the technology in fields like medicine. 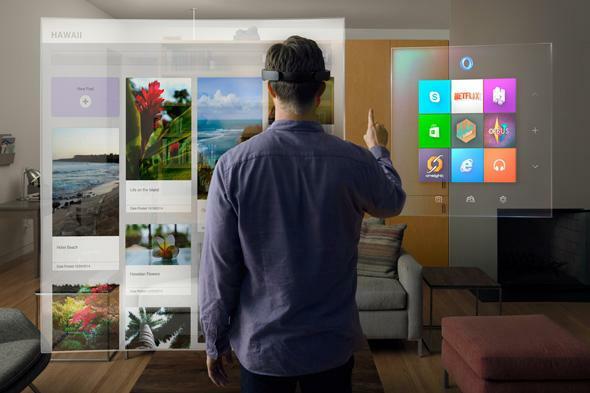 Whether HoloLens will work and deliver seamless Windows 10 integration obviously remains to be seen. It’s a pretty frickin’ awesome announcement, though, and a bold move for what was starting to seem like a super lame company. The holographic world you could live in.